There’s no love lost for plastic packaging. Whether it’s complicated recycling instructions on the products we buy, startling images of the impacts on wildlife or simply the economic value lost through waste, plastics have been climbing the international agenda for years. So how do 8 million tonnes of plastic still end up in the ocean each year? The urgency of the issue has led to brands, governments, NGOs and celebrities promoting a host of solutions. Reusable packaging is part of the answer, and shopping bags, water bottles and coffee cups have become popular purchases for those trying to do their bit. This works to replace certain types of packaging, but think about all the other pieces of plastic we come into contact with every single day. Plastic film can keep food fresher for longer, and wrappers ensure medical equipment is safe for patients. In many cases, it wouldn’t be hygienic, convenient or feasible to go fully reusable. A number of initiatives also aim to tackle the impacts of the problem, from scooping plastics out of the ocean to collecting litter from beaches. Again, these are valuable efforts and must continue. However, the three best known major international ocean clean-ups combined deal with less than 0.5 percent of those 8 million tonnes of plastics that enter the ocean annually. We need to treat the cause as well as the symptoms.This means looking upstream to design a plastics system that works, in which this material never ends up as waste in the first place. The challenge here is that when it’s used, plastic packaging becomes dispersed. These items are distributed throughout the world in endless configurations and uses, with billions of customers. They’re often tiny, lightweight, difficult to collect and individually aren’t worth that much. So to truly rethink the way we make and use plastics, we need to come up with new approaches and systemic solutions. 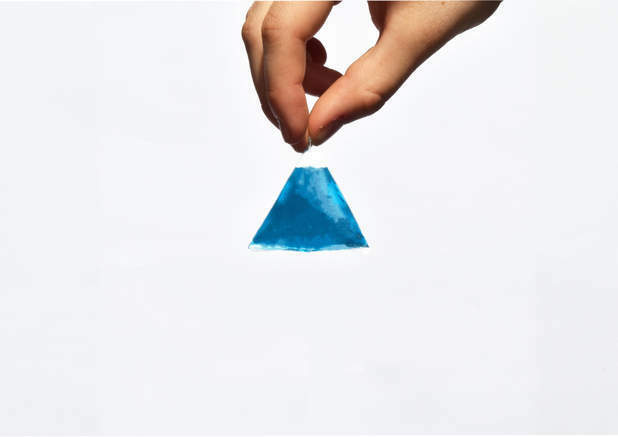 The edible Delta sachet is being designed for restaurants and other hospitality businesses. That’s the thinking behind the New Plastics Economy Innovation Prize, launched in 2017 by the Ellen MacArthur Foundation, together with the Prince of Wales’s International Sustainability Unit, and funded by Wendy Schmidt. 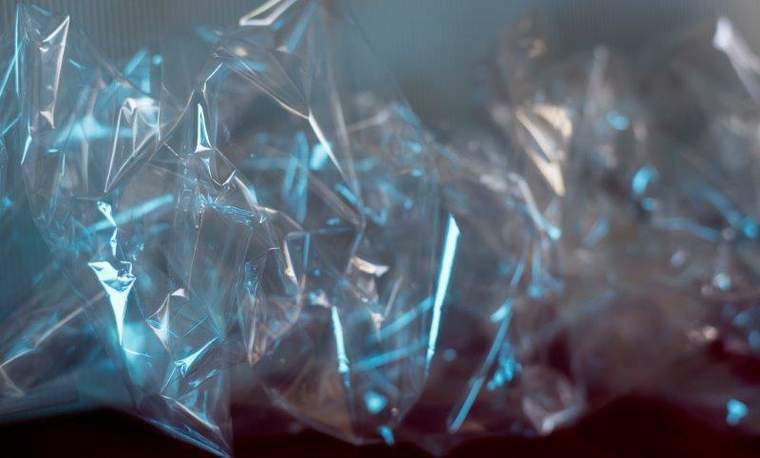 The competition invites designers and materials scientists to reinvent the types of plastic packaging that are almost never collected and recycled, and end up in landfill, incinerators or in the environment. The winners are awarded a share of the $2 million prize, as well as a 12-month accelerator program, in collaboration with Think Beyond Plastic. The Innovation Prize comprises two parts. At the Our Ocean conference in October, the organizers announced the first batch of winning submissions. For this Circular Design Challenge, teams were tasked with coming up with superior alternatives to items such as shampoo sachets, wrappers, straws and coffee cup lids. These “small-format packaging items” account for 10 percent of all plastic packaging. They are not recycled and often end up in the environment. The second group of winners was announced at this year’s Annual Meeting of the World Economic Forum in Davos. The Circular Materials Challenge seeks ways to make all plastic packaging recyclable. This means inventing better solutions than conventional packaging, and the features that we take for granted. For example, many plastic films aren’t just made of one type of polymer but a range of materials all mixed up. Each material has a function — water resistance, airtightness, appearance — but they also make common packaging items unrecyclable. The intention is that these innovations not only inspire further progress but are adopted, scaled and integrated into a working plastics industry. The Circular Materials Challenge invites innovators to find alternative materials that could be recycled or composted. The five winning entries show what’s possible when the principles of a circular economy are used to guide the research and development process. The intention is that these innovations not only inspire further progress but are adopted, scaled and integrated into a working plastics industry. Aronax Technologies Spain proposes a magnetic additive that can be applied to a material, creating better air and moisture insulation — making it suitable to protect sensitive products such as coffee and medical products, while still being possible to recycle. The additive — small, plate-like particles of silicates and iron oxide — will provide plastics with much better abilities to block gases such as oxygen, but can be identified and separated at the recycling stage. Working together, Full Cycle Bioplastics, Elk Packaging and Associated Labels and Packaging make a compostable high-performance material from renewable materials, agricultural by-products and food waste to pack a broad range of products from granola bars and crisps to laundry detergent. The VTT Technical Research Centre of Finland has created a compostable multi-layer material from agricultural and forestry by-products, which could be used for stand-up food pouches for products such as muesli, nuts, dried fruit and rice. These wood by-products contain cellulose, the most abundant renewable polymer on the planet, making this new material an environmentally benign alternative to fossil fuel-based, multi-layered plastic packaging. 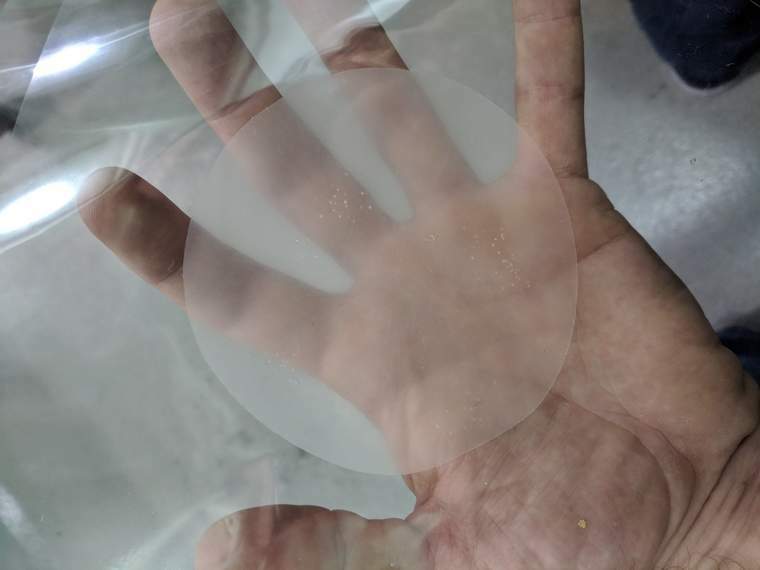 The Fraunhofer Institute for Silicate Research ISC has developed a coating with silicate and biopolymers that can be used in many food packaging applications, protecting biopolymer packaging and food against premature degradation and is fully compostable. In 2016, the Ellen MacArthur Foundation released the first New Plastics Economy report, which provided the alarming and widely shared statistic that if we don’t change how we make and use plastic, by 2050 the oceans could contain more plastics than fish, by weight. Viewers of the BBC series “Blue Planet 2” saw this concern brought to life last year, resulting in another spike in public attention. The recycling symbol has been around for over 40 years, but just 14 percent of plastic packaging is actually collected; only 2 percent is properly recycled. Because try as we might, as a society we haven’t made much progress on the plastics problem. The recycling symbol has been around for over 40 years, but just 14 percent of plastic packaging is actually collected, and of that only 2 percent is properly recycled. The rest is lost during the recycling process, or goes to lower value goods. Despite best intentions, that yogurt pot you recycled probably won’t be reborn as another yogurt pot. That’s why the Innovation Prize is part of the New Plastics Economy Initiative, an ambitious collaboration led by the Ellen MacArthur Foundation, with participation from a broad group of leading companies, cities, philanthropists, policymakers, academics, students, NGOs and citizens. Following the announcement in Davos, 11 leading brands, retailers and packaging companies are working towards using 100 percent reusable, recyclable or compostable packaging by 2025 or earlier. Emblematic of the “take, make, dispose” world we live in, if we can make plastic packaging fit within a circular economy, there’s reason to believe that other industries can follow suit. « If we can’t recycle it, why not turn our waste plastic into fuel?